Latest Prog News – from across the progressive rock spectrum & continually updated throughout July 2017. Borrego is an epic, double CD and concept record that contains 24 tracks (+ 4 bonus cuts exclusive to the CD) and a 24 page booklet. The album is inspired by the beautiful and mysterious desert town in Southern California, Borrego Springs. Marco Minnemann has recorded and performed with numerous artists including the aforementioned Joe Satriani along with Steven Wilson and his own band, the Aristocrats. Marco’s also part of the successful trio, Levin Minnemann Rudess. Carl Palmer, along with numerous other musicians, industry figureheads and VIPs, will attend the Progressive Music Awards at London’s The Underglobe on 14th September 2017. Prog Magazine announce: Emerson, Lake & Palmer drummer Carl Palmer has been named the Prog God for 2017 – and he’ll pick up the award at this year’s Progressive Music Awards in association with Orange Amplification in London in September. He’s being honoured for his 50 years of service to the prog scene which, along with his body of work with ELP, also includes his career with multi-platinum selling supergroup Asia along with his solo work. Previous recipients of the award are Rick Wakeman, Jon Anderson, Peter Gabriel, Tony Banks and Ian Anderson. Palmer says: “This is a fantastic award to have and I feel very honoured, but I also feel a little bit sad that Keith Emerson and Greg Lake, who both died last year, aren’t here as well. 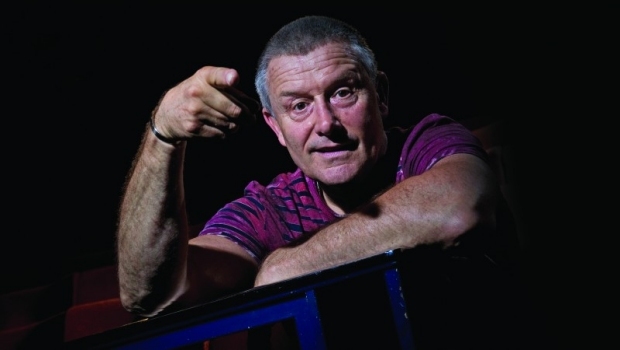 Carl Palmer, along with 300 other musicians, industry figureheads and VIPs, will attend the Progressive Music Awards in association with Orange Amplification at London’s Underglobe on September 14. The night will once again be hosted by Matthew Wright and the ceremony will also be streamed live via the Prog website. 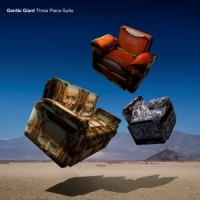 Following on from the The Power And The Glory and Octopus reissues comes Three Piece Suite, a selection of tracks taken from the band’s first three albums (Gentle Giant, Acquiring the Taste & Three Friends). The band along with Steven Wilson are including the previously commercially unreleased track Freedom’s Child taken from the first recording sessions with Tony Visconti. Three Piece Suite will be released on 29th September 2017 and available in several formats: CD/Blu-ray, Vinyl, CD and digital formats. The Winter’s End Festival organisers have announced the full line up for next year’s event to be held at Chepstow’s Drill Hall from April 27th to 29th 2018 – with a pre-show event on 26th April, featuring Gordon Giltrap and Carrie Martin. Judy Dyble and Andy Lewis have released a video for He Said/I Said – the opening song from their forthcoming album Summer Dancing, which is scheduled for release on 18th August 2018. Fractured has been described by Duda as an album of catharsis after a challenging year in his personal life. Last December the organisers gathered seven bands who played for the benefit of The Macmillan Trust, raising £720 for the charity. Once again the festival will raise monies for worthy causes and the beneficiaries of Masquerade 2 will be MacMillan Cancer Support. Ticket information can be found HERE. Visit the TPA Gig Guide and the TPA UK Festivals Guide for this event and more from across the prog spectrum. David Gilmour announces the release of Live at Pompeii, through Sony Music, on 26th September 2017 and will be available on 2-CD, Blu-ray, 2-DVD, 4-LP, deluxe Blu-ray box and download. The Pompeii concerts marked a return by David to the venue 45 years after Pink Floyd filmed in the legendary Roman Amphitheatre there, his two spectacular shows forming part of the year-long tour in support of the No.1 album Rattle That Lock. David’s performances were the first-ever rock concerts for an audience in the stone Roman amphitheatre, and, for two nights only, the 2,600-strong crowd stood exactly where gladiators would have fought in the first century AD. Jean-Hervé Peron and Werner Zappi Diermaier will travel the UK for 10 days accompanied by Geraldine Swayne and Amaury Cambuzat with lots of surprising acts and happenings on and off stage! Roger Waters releases a video for Wait for Her, a track taken his new album Is This the Life We Really Want?. The line-up for the new album will be Hans Lundin (keyboards & vocals), Per Nilsson (electric & acoustic guitars), Morgan Ågren (drums), Jonas Reingold (bass), Patrik Lundström and Aleena Gibson (voice). Violinist Elin Rubinsztein appears as a special guest. For track listing and further details scroll down this page. 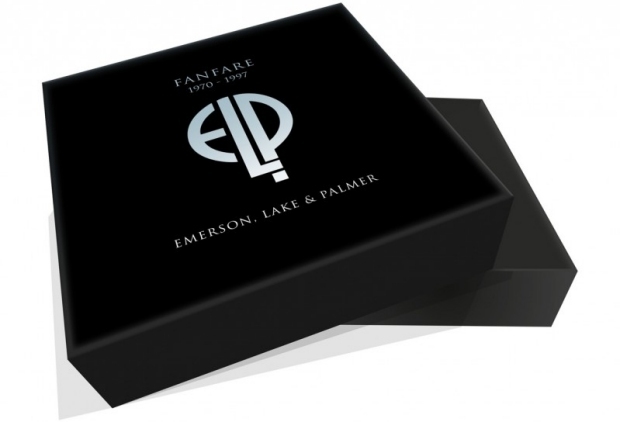 BMG’s comprehensive Emerson, Lake & Palmer release series continues with Fanfare: Emerson, Lake & Palmer 1970-1997 which will be officially released on 29th September 2017. Steve Howe will add a second volume to his Anthology series this summer with an upcoming collection that highlights his key contributions to groups, Yes and Asia, while also rounding up his numerous collaborations with musicians like Paul Sutin, Fish and Oliver Wakeman. As might be expected Anthology 2 with Steve Howe’s contributions to Yes and Asia, along with rarities like Montreux’s Theme, recorded by Yes during sessions for Going for the One and Masquerade a previously unreleased tune by Asia. The collection also covers Steve Howe’s involvement in the GTR project and the anthology features When The Heart Rules The Mind. 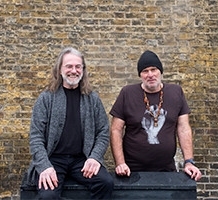 Disc 3 explores some of Howe’s many musical collaborations through the years, including songs he recorded with Fish (Time And A Word), Oliver Wakeman (The Forgotten King) and Paul Sutin (Voyager). “In addition, more than a dozen of Howe’s unreleased collaborations will make their debut on ANTHOLOGY 2”. Vocalist Kim Seviour streams title track from new album Recovery Is Learning, which will be released through White Star Records on 28th July 2017. “I found this quote during my psychology studies and it’s stuck with me ever since. It’s helped me through my own struggles with ME, depression and anxiety and the song was written for a close friend who was being treated for anorexia at the time. The track was co-written by John Mitchell who plays all the instruments on the recording, barring the drums which are performed by Graham Brown. Mars Hollow guitarist John Baker, who last month revealed that they would be recording a new album after a nearly five year gap, albeit under a new name, reveals that Lisa LaRue will be joining the band on keyboards. 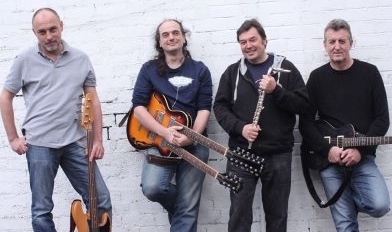 This follows earlier line-up announcements of Chapman Stick man Don Schiff and drummer Emily Dolan Davies. Life after Mars debut album release is tentatively scheduled for Summer 2018. Threshold have announced their new album Legends Of The Shires will be released via Nuclear Blast on 8th September 2017. Yesterday the band unveiled the first single from the release Lost In Translation, clocking in at over ten minutes! Legends Of The Shires will be the band’s eleventh studio album and their first ever double album; it also features Glynn Morgan back on vocal duties for the first time since 1996. 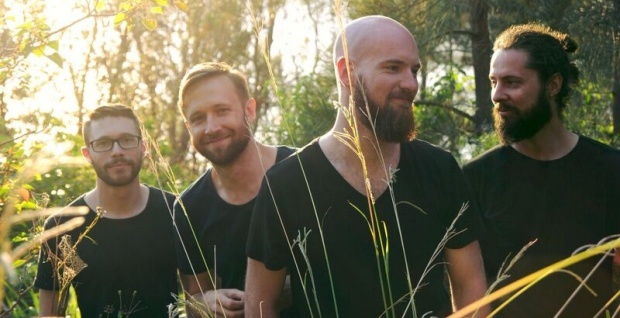 Post-rock trailblazers sleepmakeswaves who released their latest album Made of Breath Only earlier this year have announced a run of UK shows for October with support from The Physics House Band and Vasudeva. This tour will follow the band’s highly anticipated appearance at ArcTanGent festival next month where they will perform alongside the likes of Explosions in the Sky, TesseracT and Converge. **Support for the shows will be The Physics House Band & Vasudeva. Visit the TPA Gig Guide for these UK dates and more from across the prog spectrum. White Moth Black Butterfly announce the release of their second studio album Atone, scheduled for release 1st September 2017 on Kscope. The band is headed by TesseracT’s Dan Tompkins and Skyharbor’s Keshav Dhar, with string arrangements by Randy Slaugh and co-vocals by Jordan Turner. Nordic Giants announce a series of UK shows later this year. The duo will be promoting their upcoming Amplify Human Vibration documentary. Director Riki Nitabaru comments: “Before I began working on the animation, I spent some time thinking about how to portray the song’s story in visuals. The story centers around a deer that travels through time, trying to find the cause of humanity’s problems in the modern world. I thought it would be too dull to draw that up literally, so I interpreted the story in my own way to add some flare. In my take, just as the deer finds the cause of all strife, the world starts to cleanse itself. The deer becomes a receptacle of all living things, and it morphs to become a brand new being that encompasses all life forms. Since I had this storyboard in my mind, putting together the production was like a simple puzzle. There were times where I was unsure what to draw for specific moments of the song. But, I found inspiration in the drama portrayed in the music, and was able to create something better than I first imagined. Esoteric Antenna reveal that John will be releasing a new album, and his first album with the John Hackett Band. We Are Not Alone follows in the footsteps of John’s more band orientated 2015 album, Another Life. Steve Hackett will guest on the forthcoming album. The new CD will also include a second, previously unreleased live CD from 2016. The John Hackett Band will be playing a number of UK dates, in support of We Are Not Alone, which is scheduled for release on 29th September 2017. Steve Hackett along with Roger King, Rob Townsend, John Hackett and special guest Amanda Lehmann will return to Trading Boundaries for two intimate acoustic evenings on Saturday 9th and Sunday 10th December 2017. Visit the TPA Gig Guide for all these UK dates and more from across the prog spectrum. 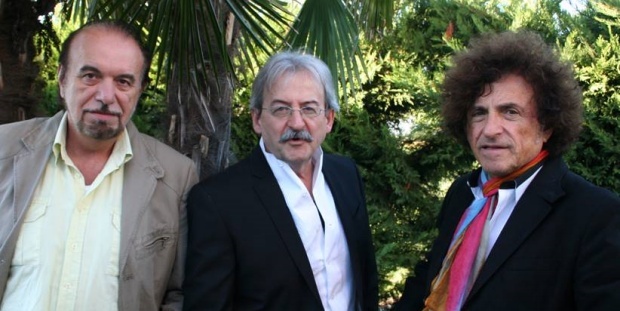 InsideOut Music reveal they will be releasing PFM (Premiata Forneria Marconi)’s forthcoming album later this year. The band began writing their latest studio release Emotional Tattoos, back in 2016 and entered the recording studio phase in early 2017. No official date has been announced, however Emotional Tattoos is currently planned for late October. Acqua Fragile’s A New Chant will be released through Esoteric Antenna on 14th October 2017. 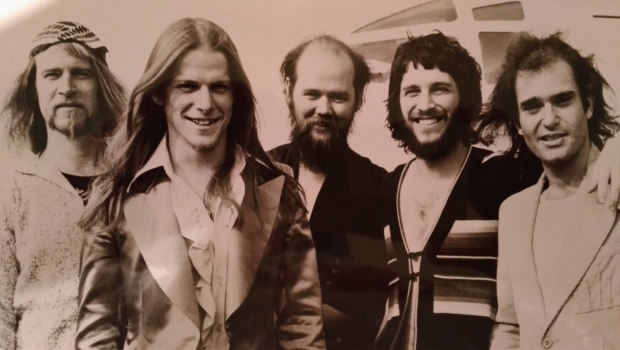 It has been rumoured for quite some time now, however with the first US dates announced, (but still to be confirmed), for 2018 it would appear that Dixie Dregs are back! 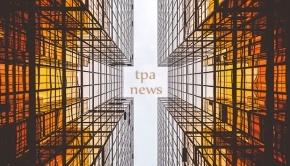 Continue reading HERE on TPA. Swedish progressive rockers Kaipa have announced the release of their latest studio album, Children Of The Sounds, through InsideOut Music, on 22nd September 2017. Children Of The Sounds will be available in several format: CD, Gatefold 2-LP + CD and on various digital platforms. You can read TPA’s review of The Slow Rust of Forgotten Machinery – HERE. Commenting on the piece Andy says: “The song ‘Slow Rust’ is a long involved piece that looks at the whole massive set of implications of the various refugee crises around the world today. The piece tries to take on many of the points of view from different groups like The Press, Politicians, Industry, Education and all of US – but just for this section of the song we turned the camera on the people actually in the middle of this story, desperate people doing desperate things in a world that has little time to help them. 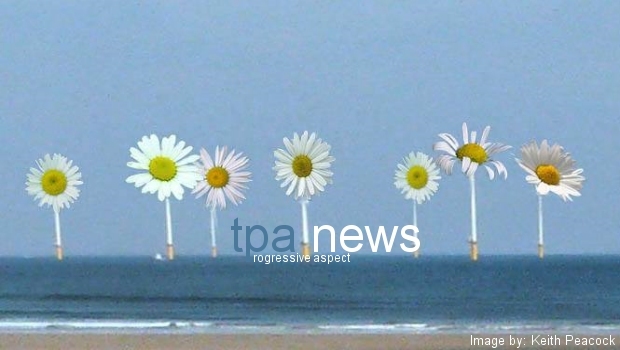 We caught up with Andy Tillison recently, chatting to TPA’s Kevan Furbank – he tells us why he is one of those taking up the challenge to put politics back into prog. 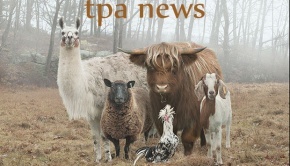 Read the interview HERE on TPA. Bruce Soord says about the show and release: “It was our last show of the tour and our biggest headline show ever. We had 15 cameras, a massive jib, but more importantly – a sell-out crowd! The pressure was indeed on, but it’s safe to say that the stars aligned for us that night and it turned out to be one of the most memorable performances of our career so far. The band with Gavin Harrison will be touring in Europe during September 2017. Dates can be found HERE or visit the TPA Gig Guide for the UK dates and more from across the prog spectrum. Now in its second year the Midsummer Madness, one day festival, takes place on Sunday 16th July 2017 at The Bedford (The Globe Theatre), Balham in London and features headliners Cairo (UK), Verbal Delirium (Greece), Introitus (Sweden), Mothertongue (UK) and Under A Banner (UK). Last December the organisers gathered 7 bands who played for the benefit of The Macmillan Trust, raising £720 for the charity. This time around the beneficiaries will be The Alzheimer’s Society and the hope is to raise £1000. The madness starts at 12:30pm and will finish around 10:300pm. More information on the event can be found HERE. Luna Kiss have recently completed the writing process for their next studio album and will be heading down to Reading next week to begin work with producer John Mitchell. Muse have announced that they’ll play a special charity show in aid of The Passage. The intimate event will take place at The O2 Shepherd’s Bush Empire on 19th August 2017. For the ‘By Request’ event the band have asked their fans to select up to 10 songs which will form the basis of the show. The Passage runs the UK’s largest support centre for homeless and insecurely housed people – and since its inception has helped over 100,000 individuals in crisis. Tickets for the intimate show at The O2 Shepherd’s Bush Empire will go on sale at 9am on Friday 6th July, with all profits going to The Passage. Muse fan club members and Reading & Leeds ticket holders will have access to an exclusive presale 48 hours in advance. Leprous will also be embarking on an extensive European tour later this year with special guests Agent Fresco – plus Australia’s Alithia & fellow Norwegian’s Astrosaur. Detaiuls can be found HERE on TPA. 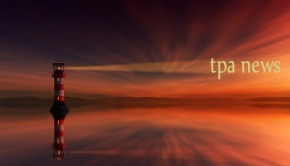 Visit the TPA Gig Guide for the UK dates and more from across the prog spectrum. Steven Wilson previously announced his 2018 UK Tour in support of his fifth studio album. 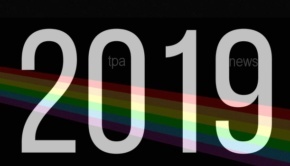 Visit the TPA UK & Eire Gig Guide for these dates and more from across the prog spectrum. 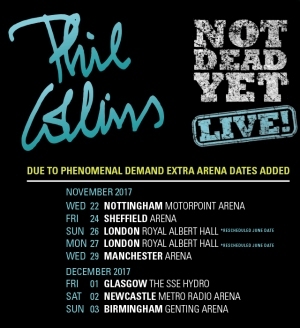 Phil Collins has added six new UK shows to the two rescheduled dates from June. Phil Collins was forced to cancel the two Royal Albert Hall concerts when he fell in his hotel room, prior to the two London shows.